Here at All Star Automotive Group we pride ourselves on excellent customer service! It’s our number one priority to ensure that every customer that walks through our door or visits http://www.allstarautomotive.com/, is satisfied. The All Star Treatment GUARANTEES our customers that we are 100% committed to your satisfaction before, during and after the sale. We always love getting reviews and recommendations from happy customers and whenever we receive a review that especially stands out, we like to highlight it. This week, we’d like to share a 5-star review from a very satisfied customer of All Star Chevrolet! The staff was really friendly and professional!! This one advisor Mr. Terry was very friendly and very professional and took time to listen to my concerns and made sure my needs were met!! I was having a rough day and he turned my day around!! We always love getting reviews and recommendations from happy customers and whenever we receive a review that especially stands out, we like to highlight it. This week, we’d like to share a 5-star review from a very satisfied customer of All Star Kia! When I went in to the All Star Kia dealership on Siegen Lane, I wasn’t sure if I would be trading in my 2011 Soul or if I would be leaving in it. I really hadn’t done a whole lot of research on other cars, but I knew I needed something with more room since we are expecting our first baby any day now. 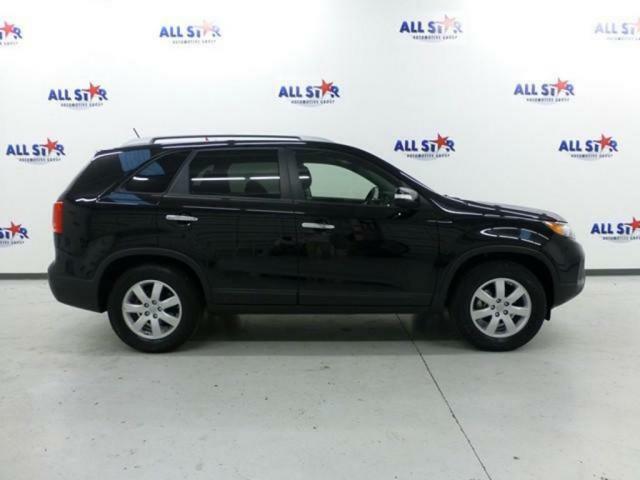 One thing that drew me in to All Star Kia was being so close to winning a Sorento from them! I was chosen in the top 20 finalists for the giveaway and attended the drawing for it on December 3rd. Although I didn’t win the Sorento, I left the event and could not stop thinking about it. My husband and I had a great time, all the Kia employees we met were so kind and hospitable, and we were so amazed that they would give away a free car! After only one night of discussing it, we decided we needed something bigger. Since we were so impressed with the All Star Kia staff, why not go and see what they could do for us. Buying a car can be a very stressful experience, considering all of the deciding factors in getting approved along with the size of the purchase. Is my credit score high enough? Which car is best for me? What features should I get? Can I get a good enough trade-in value? Will the salesperson work with me? I am so pleased to say that was not at all the case when I purchased my Kia! From the time I sat down to discuss options with Nazha to the time I pulled off the lot in my 2013 Sorento, I felt completely relaxed and comfortable. Nazha was so knowledgeable about both financing aspects and vehicle specifics that she really made my decision easy. I felt like I was getting the best deal possible on the best vehicle for my newly growing family. There was not one question I had that Nazha couldn’t answer. I was also impressed that they brought in a second finance consultant to speed up my purchase and keep me from waiting. The following day I went back to sign a few papers and the manager, Kal Savoie, personally came out and helped me since a lot of his employees were busy. Everyone was wonderful, and I could not be happier with the service I received. And from the spacious cargo area to the backup camera safety feature, I am so in love with my new Sorento! This review was just one of many! You can read all of our Dealer Rater reviews to hear what several other customers have to say. If you’re a customer that would like to share your experience online, please visit Google, Yelp or DealerRater.com. As always, we know you have a choice on where you buy or service your vehicle and we appreciate the opportunity to earn your business.